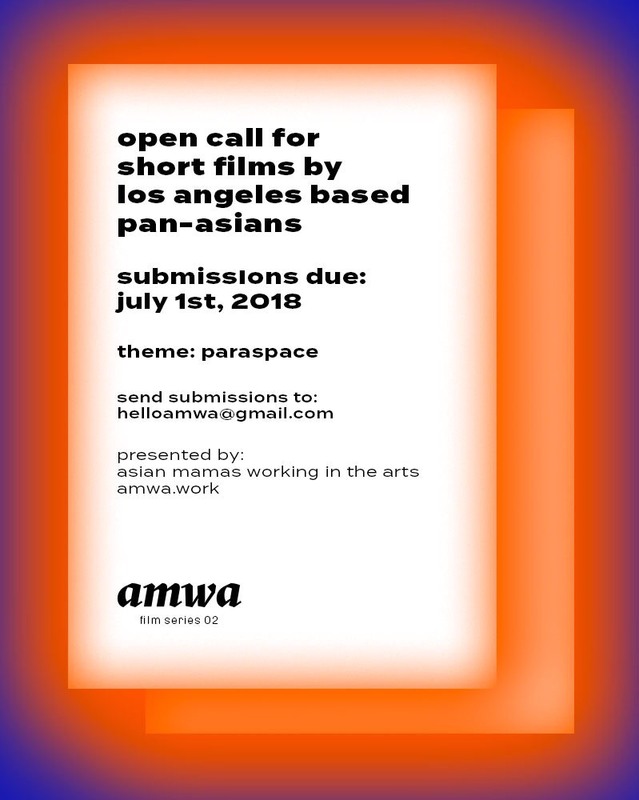 amwa film series 02: shorts presents a selection of pan-asian films around the theme of paraspace. here, the borders between tangible / digital / imagined, our dreams / feelings / experiences, the past / present / future collapse. we engage with parallel and alternate realities as a method for survival and to pave new ways for comprehending community and normalcy. please send a short bio and statement (150 words or less) along with your submission to helloamwa@gmail.com.